For a day out of family fun, London is the perfect place. This multicultural, capital city, has everything that you and your family could want, and more. The great thing about spending time in London is that no matter what you and your family are into, there’s sure to be an activity that you will love. To help you plan the most amazing day out, I’ve put together this insightful and useful guide to exploring London with the kids in tow. The first thing that you need to establish is how you’ll get to the city and how you’ll get around once you’re there. This will most probably depend on where you’re coming from. For instance, if you’re coming from one of London’s suburbs, the easiest option is most probably to take the tube into the city. If, however, you’re coming from a little further afield, it may be easier to drive. You can then park up somewhere and either walk, take the bus or use the tube to get around. Westfield shopping centre in London has free parking, so could be a good place to leave your car for the day. While you’re in London, the chances are that you’re going to need to find places to stop off for a coffee and a snack or a spot of lunch or dinner. The good news is that like most cities, London has plenty of family-friendly places to drink and dine. From chain restaurants like Jamie’s Italian, to places like Brick Lane Brasserie Restaurant, you have lots of choice. To find out how good a restaurant is, check out its reviews on TripAdvisor. What are the best sights and attractions? For history lovers, The Natural History Museum makes a fantastic family day out. 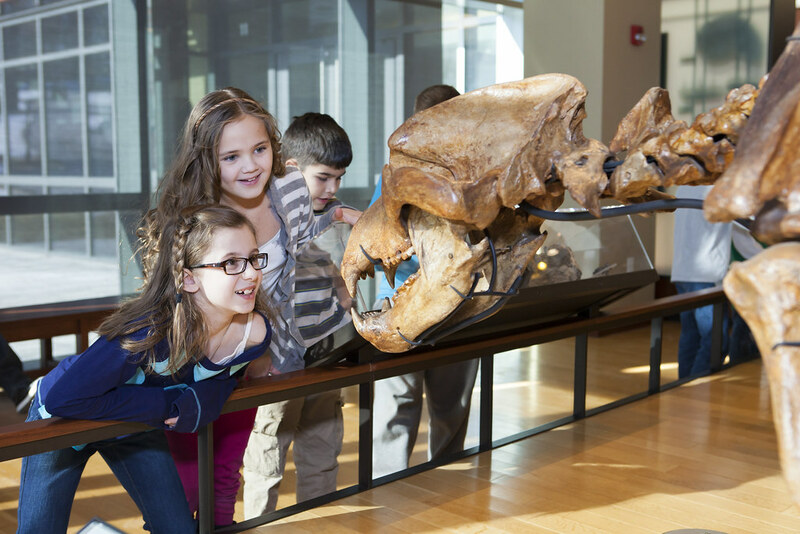 Packed full of fossils, bones, and interesting insects and animals, this is the perfect place for the kids to explore. Best of all, it’s free of charge to visit – so if you’re on a budget, this is a great option. The Tower of London is also a great thing to see if you’re a family of history lovers, as it’s one of the UK’s most iconic historical landmarks. Or, could a fun and exhilarating day out at the London Dungeons be a good option? For kids who love science, there’s no better place to take them than to the London Science Museum. Packed full of unique and interesting exhibits, the London Science Museum is the perfect place for kids of all ages. Especially, those that are science mad. For kids, bus tours can be a little boring, but not the London Duck Tour. This one of a kind tour around London takes place both on land and in the River Thames in a bright yellow, amphibious vehicle. This is a fantastic way to see the city that’s fun, child-friendly, and unique. London has a lot to offer visitors of all ages but is especially good for families. With so much to see and do, plenty of places to eat and drink, and an exciting atmosphere, this is the perfect place for a family day out with a difference.